Las Paraguayas are two parallel, paradisiac, parabolic and para-poetic artists that come to present a show that is as far-fetched as Paraguay: “MOSCAS!”(flies). Flies go everywhere, turn up their noses at nothing, are happy with anything and, as they look so much alike, they love each other like sisters do. Flies buzz and fly around and choose to land on the most unexpected places. 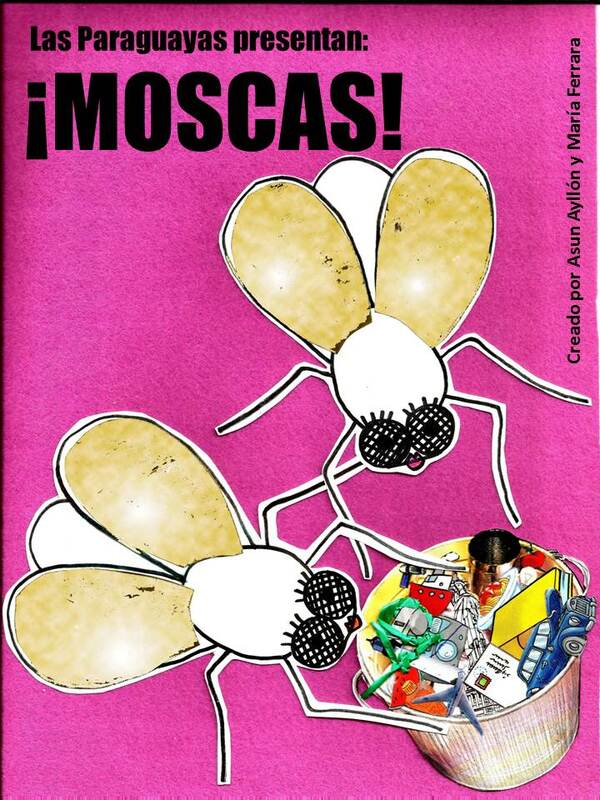 “Moscas!” is a show for children which is created in the moment. Without a script or score, the doors are left open for surprise to come in and weave a bizarre, exciting and unrepeatable theatre event.